Ben Poole won't need any introduction to followers of the Blues. However, for those unacquainted with this talented English musician, 'Anytime You Need Me' is the follow-up to his critically acclaimed 'Time Has Come' album from 2016; he also released 'Live At The Royal Albert Hall' (recorded by the BBC) in 2014. 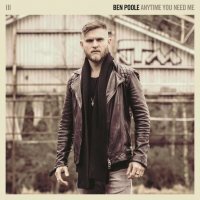 If you've heard or seen Poole live (as I have twice), you'll already be aware that he's a virtuoso guitarist, but it's his vocals that have stepped up a level on 'Anytime You Need Me'. For those unfamiliar with his timbre, it's very soulful and not the gravelly tone normally associated with this style of music. 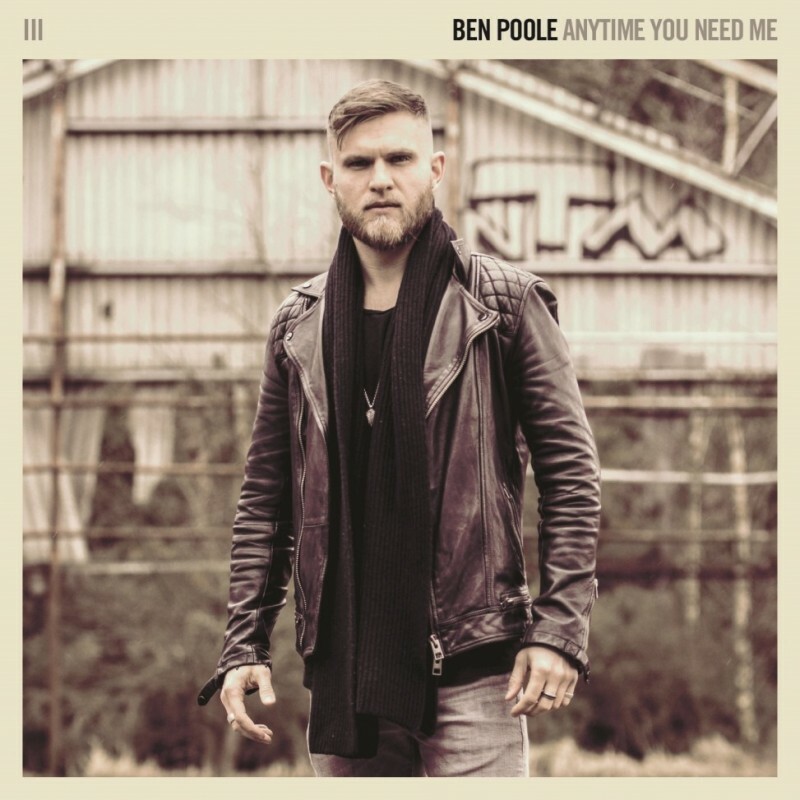 Poole provides all the guitars and vocals (including backing vocals), and he's accompanied by Wayne Proctor (drums), Beau Barnard (bass) and Ross Stanley (various keys). The album was recorded at Superfly Studios in Ollerton, Nottinghamshire, and it's superbly produced by the aforementioned Proctor. The title track gets the album off to an uplifting start and it includes a great guitar solo that was apparently produced in one take. The first song written for the record, penned by Poole and his co-writers (Steve Wright and Proctor), was the distorted Blues of 'Take It No More'; 'Further On Down The Line' and 'Let It Be' also adopt this fuzzy sound as if the guitar has been played through a blown amp. Several of the tracks wouldn't sound out of place on mainstream radio; 'You Could Say' has a great vocal melody, the West Coast vibe of 'Found Out The Hard Way' employs beautiful harmonies (plus an incredible guitar solo) and 'Don't Cry For Me' is one of the most beautiful songs of the year featuring another fine guitar solo that Jeff Beck or Eric Clapton would be more than happy to call their own. This release boasts two cover versions, but neither disrupt the album's flow and both are perfect accompaniments to the original compositions. The Don Henley classic 'Dirty Laundry' is very similar to the original, which is a compliment in itself, however, it's Jude Cole's 'Start The Car' which Poole makes his own and arguably even improves on this AOR classic. The album ends in up-tempo fashion with the aforementioned 'Let Me Be' and 'Holding On'; the latter will be recognised by some fans from his live shows.